This is the first one of this series that I didn't really care for very much. 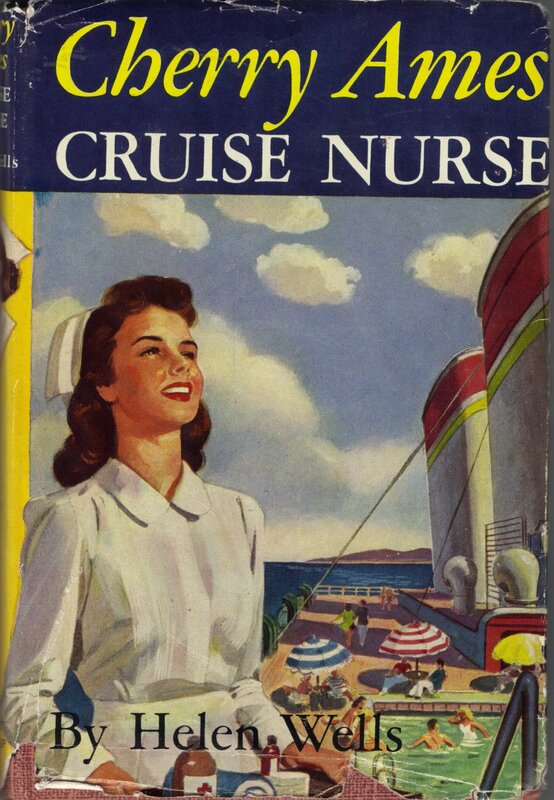 Cherry is on a two-week cruise ship as the ship's nurse, a sort of vacation for her. Right off she runs into a nasty guy working for the ship, and she helps in an operation almost as soon as she sets foot on the ship. The purser's safe is broken into but nothing seems to be stolen, establishing the mystery that lasts the rest of the book. A teenage girl seems to be spying on Cherry and a total six-year-old brat that she is caring for. The kid has no manners and throws tantrums to get his own way with things. His mother is totally incompetent and wants the nanny to care for the kid while she socializes with others on the boat. Then there's the involvement of a strange man and a woman who is a total hypochondriac. A letter is stolen and things seem to revolve around some missing ambergris. There' too many nasty people in it and too much of the book, almost the entire book, actually, involve the mystery.